Last week, at Community Bible Study we covered Matthew 17, which ends with Peter being asked to pay the temple tax for himself and for Jesus. Do you remember how Peter was to obtain the four drachma coin? Jesus instructed Peter to go to the lake, throw out his line, and look in the mouth of the first fish he caught. Not exactly the conventional means! But what strikes me now about this peculiar story is Peter’s implicit obedience. Some people may have blown it off as an utterly absurd recommendation. Go fishing for a drachma coin in the mouth of a fish? Right! But Matthew doesn’t indicate that this strange requirement was met with any resistance or disbelief. But that creeping reluctance isn’t at all innocuous, because trusting and obeying are interrelated. The more we trust, the more we are able to obey. And the more we obey — even if that obedience feels patently absurd like fishing for a tax payment– the more we trust. John Sammis got it right in his much-loved hymn. Being happy in Jesus is about trusting and obeying — even when it’s hard, even when it’s weird, even if I feel silly, even if I am the only one, even if I am ridiculed, even if I am hated, even if it costs me my life. I am always, always called to trust and to obey. May I do these two things. May I be happy in Jesus. And may you be happy in Jesus too. On Sunday my family kicked off the 2011 NASCAR season in our usual way: all together in the family room watching the Daytona 500. We are not glued to the television for every lap, in fact the boys like to use their replica cars to run their own races. But the television was on for the whole race and we were all fully engaged and cheering for the green, white, checkered finish. And I if you don’t know what that means, you need to watch more NASCAR. My oldest son has been a Tony Stewart fan ever since he decided he was obsessed with lining up cars at three years old, and this year good old Tony was in contention until the very end. Yet it was the young Trevor Bayne who first crossed the start/finish line. Bayne celebrated his twentieth birthday on Saturday and won the Daytona 500 on Sunday. Even more impressive than the victory was Bayne’s humility. The sudden fame and success of this young man could’ve looked quite different, but Bayne was steady in his faith and acknowledged the sovereignty of his Lord. Bayne appears to know that apart from Christ, he can do nothing (John 15:5), and my prayer is that this truth continues to be a centering reality for Bayne in the days to come. Read more about Bayne and his faith here. I am blessed and thankful to know some amazing people– below is a testimony about two of them. Erin is a new friend of mine, and her daughter, Olivia, is in the children’s Bible study group that I help lead on Tuesdays. Erin and Olivia look exactly alike — only Erin is the version that is twentyish years older. They have the same beautiful smile, and the same enthusiasm for loving God. You will be blessed beyond words to know their story. I don’t remember a time in my life when I didn’t know about God. I grew up going to church and had some amazing people in my life that truly made me want to know Jesus Christ. Looking back I can see the Lord in every moment of my life, but I clearly remember the first time I cried out to God. I met John when I was sixteen years old. We worked together at a bookstore and I was mesmerized by his intelligence. He was the smartest person I had ever met. We fell in love and moved in together our first year in college. Our parents were not happy with the situation, but since we were both doing well in school, and from all outward appearances living up to their expectations, they pretty much ignored it. Of course, that all changed rather abruptly when I found out I was pregnant. I remember taking the pregnancy test and throwing it in the closet as if then it would just go away. I told John and we both braced ourselves for our unknown future together. We were terrified to say the least. Here we were two pretty average kids from nice Christian families who were suddenly faced with our private sins becoming very public. You can’t exactly hide a baby. We told John’s parents first and that didn’t go very well. His father was completely livid. His dreams for his sons future were fading before his eyes. John was in graduate school at Carnegie Mellon University at the time and up until that moment had exceeded his parents expectations in every way. He had finished his undergraduate degree in only three years and was promptly accepted into an amazing and exclusive Master’s program. Only, now he was going to be tied to me, trapped by a baby, and unable to live up to his full potential, at least that’s what I remember the gist of the conversation being. He was cut off financially at that point and pretty much left to lie in the mess he created. They wanted me to have an abortion and offered to pay, but we had already decided in our hearts that we were going to keep this baby no matter what the consequences were. In the Bible it often talks about the heart, and this baby was already loved in our hearts. I was in a predicament because I did not have insurance anymore. Once I got pregnant my insurance would not cover that so I was struck with the reality of needing medical care and no means to get it. I looked in the phone book and found Catholic Charities and made an appointment. They confirmed my pregnancy and told me how to go get medicaid and which doctors would help me. I had to take a bus to the welfare office. It was a humbling experience and one I hope to never find myself in again, but I’m so thankful I had the option! I remember sitting in the cold, gloomy office with peeling paint and grotesque green vinyl chairs and thinking I have nothing. I’m here to beg so that I can have this baby that no one wants me to have. I gave birth at the teaching hospital in April. I had no baby shower and almost nothing for the baby once she was born, but somehow I had hope. I knew the world wanted me to have an abortion, to keep up appearances and wait until the time was right to have a baby, but I also knew that was not what God wanted. I knew in the depths of my soul that God wanted me to have her, and for the first time in my life I obeyed God. I was terrified. My water broke at our apartment and we took a cab to the hospital. Olivia Tesla Miller was born 8 hours later and was the best thing that had ever happened to me. I loved her more than myself and in the sudden quiet of that hospital room John and I prayed. We gave Olivia over to the Lord. She was the most precious thing we had ever had and we gave her over to Him. I wanted her to always be loved and wanted and to know that God had a special plan for her life. In the stillness of those late nights just me and my baby I cried out to the Lord over and over again and asked him to help me. It’s amazing how trusting God in that moment in my life changed everything. I’m happy to say there has been great reconciliation in our families. John and I have been married for nine years and are the very proud parents of three wonderful children, all of whom are great blessings. I’m excited to share with you a powerful story from a new friend of mine, Amy Smith. I heard Amy give her testimony a few months back. She had such an exciting and enviable career in fashion, traveling the globe and experiencing places and events most people never have the privilege of witnessing. Yet, as you can read below, this lifestyles was fascinating, but not ultimately fulfilling. Many thanks to Amy for her willingness to share her testimony on my blog. “Looking for Love in all the Wrong Places” was a popular tune some years ago and aptly describes my spiritual journey. I grew up in a religious family, the eldest of six children. Competing with my two brother’s for my father’s attention, we traveled extensively exhibiting our horses each summer. I attended church every Sunday and heard all about sin and grace, deciding it was not for me. I was afraid if I accepted Christ into my life that I would have to go to Africa with a suitcase full of Bibles and that was something I definitely did not want to do. I spent my young adult years working and playing hard in my career in fashion merchandising for a major department store. I was fortunate to travel regularly to New York, Paris, London, Florence , Milan and Tokyo on buying trips. It was an exciting and glamorous time. One night I woke up and had no idea where I was. It dawned on me that there had to be something more than work to satisfy my longings for peace and fulfillment. That summer, I had a blind date with a very charming and attractive man in the Bahamas. We dated and married 18 months later. I thought that all my dreams had come true. I was living a fantasy, spending part of my honeymoon in Buckingham Palace for an awards ceremony that my husband’s family’s foundation sponsored. After our daughter was born, my husband went to rehab and I discovered Alcoholics Anonymous and the Twelve Steps. Step Eleven encouraged me to improve my conscious contact with God. I remembered that one of my girlfriends had invited me to a Bible study a few months before. I thought it sounded like a cult and refused to go. But I found myself so lonely and afraid that I picked up the phone and called her. More than two hundred women gathered to study the Gospel of John (also called the “book of love”). In John 14:1 Jesus says: “Let not your heart be troubled: ye believe in God, believe also in me.” Then in 14: 27 Jesus goes on to say, “Peace I leave with you, my peace I give unto you” (KJV). I went home immediately and dropped to my knees, firing myself as CEO of my life and asking God to take over, confessing that I had come to the end of “me” and that my best efforts to run my life had failed. From that moment, I could not get enough of the Bible. Why hadn’t anyone told me this is what it said? Of course, they had. I’d just been too blind to see. For a season, my life consisted of Al Anon meetings, therapy and Bible studies. One morning while I was driving to my third Bible study of the week, I asked God if I was overdoing this Bible study “thing.” Three months later, my husband died in his sleep from an accidental overdose of pain medication. My Christian friends came and took over, handling the details for the funeral and praying for my 3-year old daughter and me. Two years later, I became convinced my daughter needed to find a Christian school with strong academics. I searched through Money magazine’s “Top 100 Cities” and focused on Atlanta. I prayed that if God wanted me to move, I would need to sell my house and my daughter would need to be accepted by a good Christian school with strong academic requirements. My house sold in less than a month at full-price and my daughter was accepted to the school. We moved where we were warmly embraced by a wonderful Christian church, school and group of friends. I studied the Bible every morning before my daughter woke for school and prayed Psalm 37:4: “Delight yourself in the Lord and he will give you the desires of your heart” (NIV). I never dated anyone seriously but spent many hours learning about God’s love, His character and His will for my life while conducting my business as a Financial Planner, keeping office hours to coordinate with my daughter’s school schedule. One day, my daughter, then 13, pulled me aside and asked me what I was going to do when she went to college. I told her very matter-of-factly that I was going with her. She said, “No, Mom, you need to get a Life. You need to get on E-Harmony.” Shocked that my 13-year old was telling me how to run my life, I thanked her for her concern but told myself I could never do such a thing. The very same week, three other people told me the same thing about E-Harmony! I knew that if heard something three times independently from Christian friends, it was probably God speaking. I heard this advice a fourth time, so I reluctantly decided to give it a try. One month later, I received an e-mail from an attractive-sounding attorney in Northern Virginia, who had recently lost his wife to cancer. After one month of e-mails I told him I was not looking for a pen pal and asked if he’d like to meet in person. After a few days, he replied that maybe we could meet at the Atlanta airport. I found myself standing at the top of the elevator in the Atlanta airport, waiting to meet this gentleman for the first time. He had sent me an e-mail the day before mentioning that he had gained a lot of weight since his E-Harmony photo was taken and required two seats on the plane. He came up behind me and touched my arm, saying I must be Amy and what should we do? I was so relieved that he was a normal size, I told him it did not matter! Ten months later, we married in my prayer partner’s garden in Atlanta and I moved with my daughter to Northern Virginia. Now in our 5th year of marriage, I am learning what it means to be a godly wife, mother, step-mother, and grandmother. Most of all, I am learning about the God of second chances and his unconditional love for me. What a comfort it is to know that “God is love, and whoever abides in love abides in God, and God abides in him.” (1 John 4:16 NIV). So thrilled to be able to share Brenda Solomon’s testimony on the blog today. She has such an amazing story, from the sweet innocence of her childhood to meeting her husband, Lon, to raising her boys and having Jill. Brenda’s life has been marked by blessing, and by heartache. Yet God has answered her prayer to use Jill’s life in a mighty way! 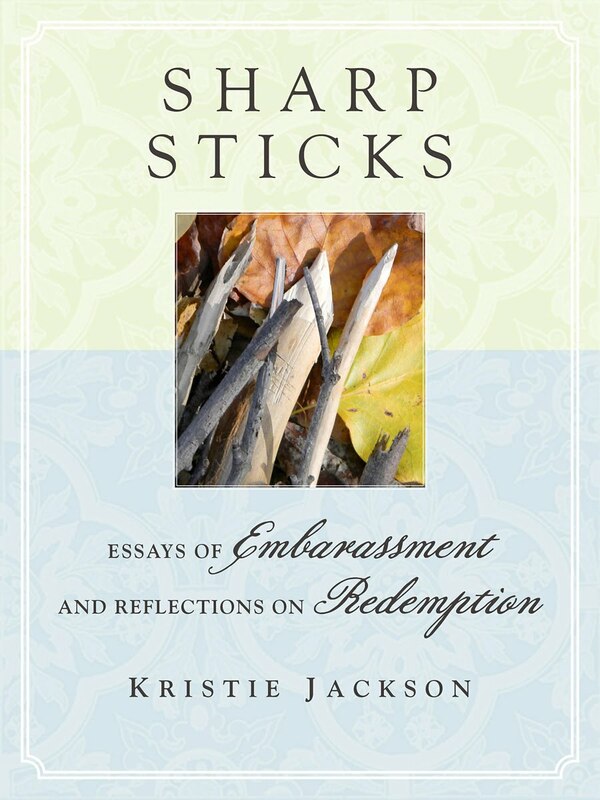 Today is also the launch of my eBook, Sharp Sticks: Essays of Embarrassment and Reflections on Redemption. If you click on the title it will take you to the link on Amazon. Half of the author proceeds from the eBook will be donated to Jill’s House. Brenda’s testimony captures so well the vision and ministry of Jill’s House, and I know you will be blessed by reading her story. I grew up in a Christian family in Hagerstown, Maryland where I was one of four children. We were a close-knit family and I saw my many aunts, uncles and cousins with great frequency. My mom stayed home with us, and my dad job’s allowed him to work Monday through Friday, and be home by five-thirty every evening. My parents loved being parents, and communicated that to us not only in their words, but also in their actions. Family was very important to them, as was their love for God. Our local church was the center of our social life and we were there every time the doors opened — whether it was for vacation Bible school, church camp, youth group, a Sunday morning or evening service, or Wednesday night prayer meeting. My parents made sure we knew right from wrong, and that we based everything we did in life on the Word of God. We were never lavished with material things, but we lived a comfortable life. My mom made all my clothes and everyday our family would have a home-cooked dinner together. I remember when Hagerstown opened their very first McDonald’s. It was a very special occasion when our family went there for a meal. We didn’t have home computers, video games or all the technology capabilities and distractions we have today. For our vacations every summer we went to a nearby lake and camped. I have great memories of hiking in the woods for firewood each day. I loved the smell of smoke and the crackling of wood from the campfire, and sitting around as a family laughing and roasting marshmallows after dinner. My parents provided a safe and loving environment for us to grow up in. We were taught to love the Lord with all our hearts and to love one another. I learned Bible stories and memorized verses, we prayed at every meal, and we had regular family devotions together as a family. I accepted Christ at seven years old, and my dad was the one that walked down the aisle with me in a revival service at our church. I used to think how mundane my testimony was because I didn’t have a dramatic story of being saved out of a life of sin like my husband, Lon. But over the years I have come to realize how rich my testimony really is because God spared me from so much hurt and pain. After I graduated from high school, I went off to Washington Bible College in Lanham, Maryland, and majored in Christian Education. That is where I met Lon, who was attending the Capitol Bible Seminary (the seminary is the graduate school of Washington Bible College). The seminary moved onto the Bible college campus in my junior year. I was very grateful I didn’t meet Lon until this point. I was this young, naive girl from a very conservative Christian family, and he was the outgoing, Jewish hippie guy that was still trying to figure out the do’s and don’ts of being a Christian. Lon intrigued me because there was this passion for Christ that he possessed that caught my attention. But his whole demeanor also made me a little nervous. He was still a little rough around the edges, if you know what I mean. Lon asked me out and we started dating. We had only dated for a couple of months when Lon asked me to marry him. At first my parents weren’t sure what to make of Lon. He was very outspoken, and they were very conservative and laid back. I’m not sure they had ever met a Jewish person before, and so they were unsure about his background and what he would mean for me and my future. Over the years, my parents learned to love Lon very much, and began to see how much he truly loved the Lord, and how much he loved and cared for me. With those two things alone, Lon won their love and favor. Over the years God has blessed Lon and me with four children: Jamie, Justin, Jon and Jill. I was also very blessed to be able to stay at home and raise my children, which I loved beyond words. Being a mother is a high calling and I saw it as a true ministry. To be able to mold and shape the life of another at the depth of a parent-child relationship was something I took very seriously. Just like my parents, I made sure the boys knew Scripture and also taught them that going to church was an important part of learning and growing in the Lord. But Lon and I made sure the boys knew that they were in need of a savior and they needed to personally make a decision to follow Christ themselves (which they each did early on in their lives). I truly loved being a mom and didn’t want to miss any activity that my boys were involved in. I was their biggest cheerleader on the sidelines of whatever sport they were playing, and made sure that they had whatever support they needed to be successful in life. One day early in 1983 I remember talking with my parents and reminiscing about how good God had been to our family over the years. I made the comment to them, “…..but I wonder how we would respond if something negative or difficult would ever hit our family.” Our family was about to be tested big time, and we were about ready to see the depth of our faith. In May of 1983, my youngest sister Sandy, who was 25 at the time, announced to our family she was expecting her first child. She was going to be the best mom. There wasn’t a kinder, sweeter person on the face of the earth. We were so ecstatic for Sandy and her husband, but our excitement was short-lived because in her second trimester she was diagnosed with terminal breast cancer. Sandy only had a little over a year to live. It was a devastating time for our family. We had to hold on to every promise of God that we knew and draw strength from the Lord. Sandy passed away in September 1985 and left an eleven-month-old son and a grieving husband to raise him alone. It was a very difficult time for our family, but we leaned on the promises that we had invested our whole life and existence on. Promises like: “Never will I leave you; never will I forsake you” (Hebrews 13:5); “As the heavens are higher than the earth, so are my ways higher than your ways and my thoughts than your thoughts” (Isaiah 55:9); and “Trust in the Lord with all your heart and lean not on your own understanding” (Proverbs 3:5). Five years later, my mom was diagnosed with breast cancer and survived 15 years before she passed after a long hard fight. Once again we had to lean on the Lord and take every thought captive. I cried out to God for His strength because I knew that just like the Bible says, apart from Him I could do nothing. Lon has a quote about an engine and caboose that reminds us how to get through no matter what we are facing: “The engine of our life needs to be God’s promises; the caboose of our life needs to be our feelings. Wherever the engine leads, the caboose will eventually follow.” This is the key to surviving, no matter what comes our way. The Christian life is a faith walk, and we can’t always see or understand what God is doing this side of heaven. We have to know the promises of God in His word before a crisis hits, so we can claim them with God’s help and strength. The Lord is our only hope, and He loves to show His power in our weakness. Without Him we can do nothing, but with Him all things are possible. In 1992, God sent us a baby girl. I was knocking on the door of 40 years old, and having another child wasn’t even a thought or possibility in our plans for our lives. God was about to take us on a journey where we went to an incomprehensible depth of human grief. I remember the day Jill was born. She was beautiful and perfect, and we were now in a pink utopia, where I felt so loved and blessed by this precious gift from God. This sad and exhausting time went on for years, day after day, daily seizures, sometimes multiple. The medications weren’t making any lasting difference. We thought if we just found the right medicine or found the right doctor, all this would stop. We couldn’t take Jill anywhere because we were always fearful of a medical emergency, ending with a trip to the ER. It was better if one parent went with the boys to an event or game and one parent stayed home with Jill. I thought I would never smile again! Our lives were marked by sleepless nights, demanding around the clock care, regular visits to the ER – all while caring for three other children. I could see no light at the end of the tunnel. Our boys and their worlds, our friendships, our life in church work, our own health and emotional well being — nothing went untouched from our tears, grief and exhaustion. Life went on like this way for several years. Everyday was just like the one before. I was missing time with my boys, missing time with my husband, and just missing life in general. It was later that very day that a woman called me. Her name was Mary. I didn’t know her. She was a stranger at the time. Later she would become one of my biggest cheerleaders on my journey. After talking on the phone for several hours (actually Mary mostly listened and I mostly cried), Mary was able to discern our biggest need. She recognized that we had an immediate need for what I know today as “respite.” Mary was the first to introduce me to the concept of respite. What it means is simply, “ a break” or a “gift of time.” Mary provided this by setting up an anonymous group that provided us with a caregiver and continually supported us in prayer. Up until this point Lon and I had not slowed down. We were depleted. Once we got respite, we finally got some sleep, we spent much needed time with our other children, and we were able to make better decisions regarding Jill’s ongoing medical needs. Respite changed our lives and reenergized us so we could keep going. Respite enabled us to get a better perspective on our life as a whole. Respite gave us hope. It changed our lives. It truly did. However, I’m not saying that respite is a cure-all. In fact, things got worse before they got better. Jill almost passed away when she was 8 years old. However, respite did keep us afloat – it kept us from totally drowning, and I don’t know where we’d be today if we hadn’t gotten it. It wasn’t long before Lon and I realized that we wanted to help provide respite to other struggling families in our community. Access Ministry was started in 1996 at McLean Bible Church, where my husband is senior pastor, with just four children in a Sunday School classroom. The next week it doubled in size. The need was much greater than we realized. Access Ministry has grown tremendously and today it serves several hundred families each month through various programs. We soon had a desire to expand the services we offered to include overnight respite, which led to Jill’s House being incorporated in 2003. Jill’s House is a short-term, overnight respite center located in Tyson’s Corner, Virginia, for children with special needs ages 6-17. It opened in October 2010, and it is bigger and better than I ever imagined it would be. The mission of Jill’s House is to be a safe haven to which parents can entrust their children, allowing the parents a time of rest. But Jill’s House was not built just so that parents could get a break. We built Jill’s House because we wanted to build an exceptional place for these amazing children. Jill’s House has playrooms, art, music, sensory rooms, a gymnasium, playground and a therapy pool. They deserve a place they can call their own. I think of it as their own vacation spot. A place filled with fun activities, a lot of laughter and love. I want them to look forward to coming to Jill’s House. Lon and I know that these children are near and dear to the heart of God. Jesus said, “But when you give a banquet, invite the poor, the crippled, the lame, the blind, and you will be blessed” (Luke 14:13-14a). At Jill’s House we count it a privilege to serve these children and to love them with the unconditional love of God. To the world Jill seems broken– she makes loud noises, and she is difficult to manage. Jill is 19 now, and while other kids her age have planned proms and picked colleges, Jill has the cognitive abilities of a one-year-old. She is non-verbal. She needs help bathing and dressing and doing her hair. She laughs, but cannot tell us why. When she is sick –sometimes a seizure is our first clue she isn’t feeling well. She will always need someone with her 24-7 for the rest of her life. But my daughter is not a burden – she is a blessing. Even though she cannot speak, God has used her to open my eyes and my heart to those in the disability community. God has used Jill to inspire Access Ministry and now Jill’s House, which will help thousands of families in the D.C. area who are struggling with despair, exhaustion, and isolation. And I believe we really can build hope in these families’ lives. My daughter has taught me so much without ever saying a word. I’ve seen the world through her eyes and I am a better person because of it. She loves people in spite of themselves. She is brave, despite her circumstances. She is kind, despite her own pain. She smiles and my world seems brighter. I thank her for opening up my eyes to a world I never would’ve known otherwise. And the Lord has been faithful to do just that.